I’m kind of excited for a decent Star Wars multiplayer game again. A couple of years back, my favourite such game to go online with was Jedi Outcast, a Quake 3 Arena powered deathmatch that combined the Force with laser, lightsabers and thermal grenades. It was of course, absolutely sublime to play. What was also just as damn good, especially on console, was Star Wars Battlefront. Even bigger, and packed with tons of players, the game was pure anarchy. 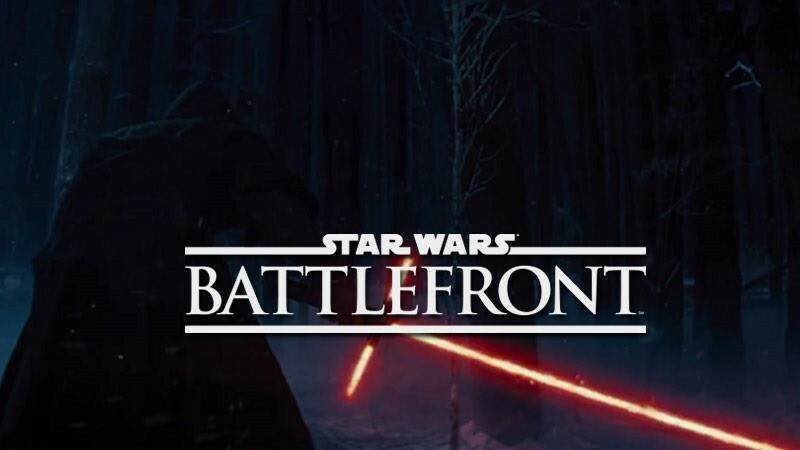 A new Star Wars Battlefront is on the way, and it sounds like it might just be the biggest Star Wars game ever made. Star Wars: The Clone Wars, and the space battle above Corsucant from the beginning of Revenge of the Sith. The scale of the multiplayer is going to be absolutely massive with up 64 players participating on each side (note: actually meant 64 total, see update at bottom). constantly in flux, but as it is now, pretty much everyone have a chance to play as a hero at least once per match. Now, I know that’s not concrete evidence that the desert planet from The Force Awakens is Tatooine, but I thought it was interesting because I know there was been some debate about that subject. That is a lot to take in and if the information is accurate, it sounds like a really great experience for Star Wars fans and the links to the new movie sounds pretty good considering how paltry it could be. That’s a lot of content. A ludicrous amount to be precise. And even if the new Battlefront does feature all of it, I can easily see half of that content being locked away behind a season pass. Truly the Season Pass is now the ultimate power in this universe. What do you think? Bantha poodoo rumours, or is the Force strong here?